Endurance crater. 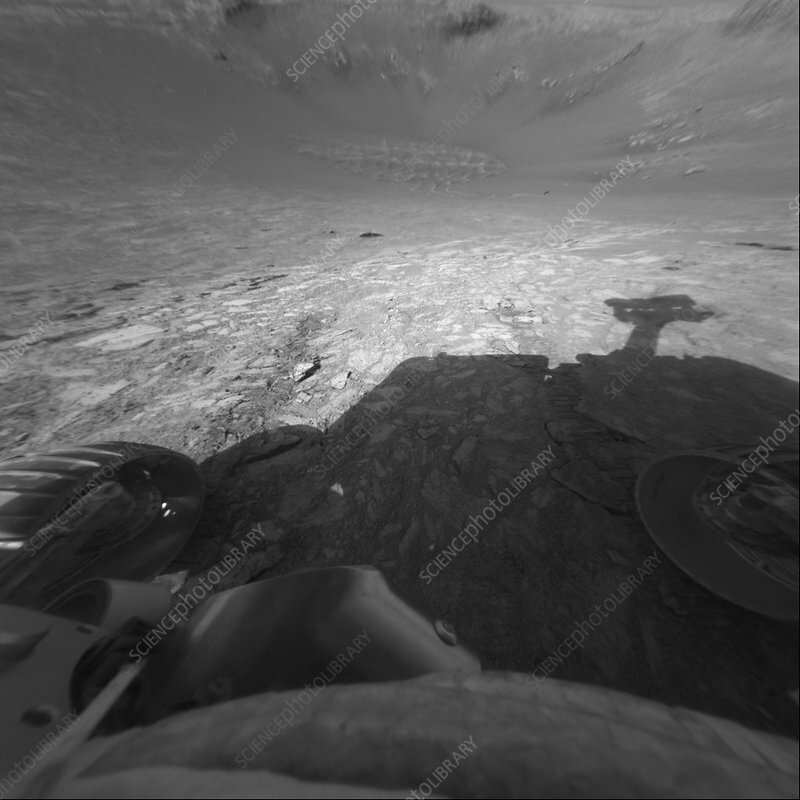 Shadow cast by the Mars Exploration Rover Opportunity as it entered Endurance crater in the Meridiani Planum region of Mars on 9th June 2004. Two of the rover's six wheels are seen at lower left and right. Opportunity entered the crater to carry out geological research on the exposed rock of the crater's walls. Endurance crater is more than 600 metres away from Eagle crater, where the rover landed on 24th January 2004. Opportunity, and its twin probe Spirit, looked for evidence of water on Mars. Many of the rocks they found showed evidence of having been formed in water, raising hopes that Mars may once have harboured life.